The club has spent 26 seasons in English football's top division, the majority of these in two spells during the 1960s and 2000s. The latter spell was associated with former chairman Mohamed Al-Fayed, after the club had climbed up from the fourth tier in the 1990s. Fulham have reached two major finals: in 1975, as a Second Division team, they contested the FA Cup Final for the only time in their history, losing 2–0 to West Ham United, and in 2010 they reached the final of the UEFA Europa League, which they contested with Atlético Madrid in Hamburg, losing 2–1 after extra time. Fulham were formed in 1879 as Fulham St Andrew's Church Sunday School F.C., founded by worshipers (mostly adept at cricket) at the Church of England on Star Road, West Kensington (St Andrew's, Fulham Fields). Fulham's mother church still stands today with a plaque commemorating the team's foundation. They won the West London Amateur Cup in 1887 and, having shortened the name from Fulham Excelsior to its present form in 1888, they then won the West London League in 1893 at the first attempt. One of the club's first ever kits was half red, half white shirts with white shorts worn in the 1886–87 season. Fulham started playing at their current ground at Craven Cottage in 1896, their first game against now defunct rivals Minerva. Fulham are one of the oldest established clubs in southern England currently playing professional football, though there are many non-league sides like Kent side Cray Wanderers who are several decades older. The club gained professional status on 12 December 1898, the same year that they were admitted into the Southern League's Second Division. They were the second club from London to turn professional, following Arsenal, then named Royal Arsenal 1891. They adopted a red and white kit during the 1900–01 season. In 1902–03, the club won promotion from this division, entering the Southern League First Division. The club's first recorded all-white club kit came in 1903, and ever since then the club has been playing in all-white shirts and black shorts, with socks going through various evolutions of black and/or white, but are now normally white-only. The club won the Southern League twice, in 1905–06 and 1906–07. Fulham joined The Football League after the second of their Southern League triumphs. The club's first league game, playing in the Second Division's 1907–08 season, saw them lose 1–0 at home to Hull City in September 1907. The first win came a few days later at Derby County's Baseball Ground by a score line of 1–0. Fulham finished the season three points short of promotion in fourth place. The club progressed all the way to the semi-final of that season's FA Cup, a run that included an 8–3 away win at Luton Town. In the semi-final, however, they were heavily beaten, 6–0, by Newcastle United. This is still a record loss for an FA Cup semi-final game. Two years later, the club won the London Challenge Cup in the 1909–10 season. 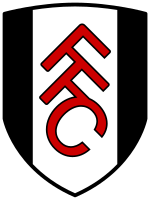 Fulham's first season in Division Two turned out to be the highest that the club would finish for 21 years, until in 1927–28 when the club were relegated to the 3rd Division South, created in 1920. Hussein Hegazi, an Egyptian forward, was one of the first non-British players to appear in The Football League, though he only played one game for Fulham in 1911, marked with a goal, afterwards playing for non-league Dulwich Hamlet. During this period, businessman and politician Henry Norris was the club chairman and curiously he had an indirect role in the foundation of Fulham's local rivals Chelsea. When he rejected an offer from businessman Gus Mears to move Fulham to land where the present-day Chelsea stadium Stamford Bridge is situated, Mears decided to create his own team to occupy the ground. In 1910, Norris started to combine his role at Fulham with the chairmanship of Arsenal. Fulham became the first British team to sell hot dogs at their ground in 1926. Fulham had several high-profile international players during the 1920s, including Len Oliver and Albert Barrett. After finishing fifth, seventh and ninth (out of 22 teams) in their first three seasons in the Third Division South, Fulham won the division in the 1931–32 season. In doing so they beat Torquay United 10–2, won 24 out of 42 games and scored 111 goals, thus being promoted back to the Second Division. The next season they missed out on a second consecutive promotion, finishing third behind Tottenham Hotspur and Stoke City. A mixed bag of league performances followed, although the club also reached another FA Cup semi-final during the 1935–36 season. Fulham were also to draw with Austria in 1936 before Anschluss. On 8 October 1938, Craven Cottage saw its all-time highest attendance at a match against Millwall, with a crowd of 49,335 watching the game. League and cup football were severely disrupted by the outbreak of World War II in 1939, with the Football League split into regional divisions temporarily, with a national Football League War Cup and a London War Cup up for grabs. Craven Cottage was used like many grounds for fitness and training of the army youth reserves. Post-war, a full league programme was only restored for 1946–47. In the third season of what is now considered the modern era of football, Fulham finished top of the Second Division, with a win-loss-draw record of 24–9–9 (identical to that which won them the Third Division South 17 years previously). John Fox Watson made a pioneering transfer to Real Madrid in 1948, becoming one of the first players from the United Kingdom to sign for a high-profile side abroad. Promotion to the top tier of English football saw the club perform poorly, finishing 17th in their first year and 18th in their second. In only their third season of First Division football, Fulham finished rock bottom of the 22-team league in the 1951–52 season, winning only eight of 42 games. On 20 May 1951, Fulham played one of their first ever games in North America in an exhibition match against Celtic at Delorimier Stadium in Montreal in front of 29,000 spectators. A few seasons of mediocrity in the Second Division followed, but then the club reached the FA Cup semi-finals in 1958 and used this momentum to win promotion back to the First Division in the following season, having finished second to Sheffield Wednesday. Also joining Fulham in 1958 was Graham Leggat, who went on to score 134 goals in 277 appearances, (making him the club's fifth all-time top scorer). In the 1959–60 season, they achieved tenth position in the First Division, which until finishing ninth in the 2003–04 season was their highest-ever league position. This accompanied another appearance in the last four of the FA Cup in 1962. By this time, the club were regularly playing in front of 30,000 plus crowds at Craven Cottage, despite struggling in the League. The club experienced several close escapes from relegation, none more spectacular than in 1965–66, when the club rooted at the bottom went on an astounding run beating all the top sides with a few games to go. On the morning of 26 February 1966, Fulham had just 15 points from 29 matches. The last 13 games saw Fulham win nine and draw two to reach safety. Eventually, however, the club suffered relegation in the 1967–68 season, having won just ten out of their 42 games. Even that, however, was not as catastrophic as the calamity of next season. Winning only seven in 42, the club were again relegated to the Third Division. (Note that this is not the same as the Third Division South, as the regional Third Divisions had been removed with the 1959 creation of the Fourth Division). Possibly the single most influential character in Fulham's history is Johnny Haynes. "Mr. Fulham" or "The Maestro," as Haynes later came to be known, signed for The Cottagers as a schoolboy in 1950, making his first team debut on Boxing Day 1952 against Southampton at Craven Cottage. Haynes played for another 18 years, notching 657 appearances (along with many other club records too), his last appearance for Fulham coming on 17 January 1970. He is often considered as the greatest player in Fulham history, and never played for another team in Britain. He gained 56 caps for England (22 as captain), with many being earned while playing for Fulham in the Second Division. Haynes was injured in a car accident in Blackpool in 1962, but by his own admissions never regained the fitness or form to play for England again, missing out on England's victory in the FIFA World Cup 1966 for which he would have stood a chance of being selected. The Stevenage Road Stand was renamed in his honour after his death in a car crash in 2005. The aforementioned Third Division hiatus lasted only two seasons before the club was promoted back to the Second Division as runners-up in 1970–71. This spell also saw Fulham invited to the Anglo-Italian Cup, which saw the club draw four out of four games in 1972–73 season. This preceded a period of high-profile signings for the club under Alec Stock in the mid-1970s, including Alan Mullery and Bobby Moore. Fulham reached their only FA Cup final in 1975, having won their first semi-final in five attempts. The club then lost to West Ham United in the final. This gained the club qualification to another European tournament, the Anglo-Scottish Cup, where they made the final, losing to Middlesbrough. George Best played 47 times for the club in the 1976–77 season. Rodney Marsh, who having grown up with Fulham in the 1960s went on to play First Division football and play for England, rejoined the club in the same season, playing only 16 games. This capped one of the most successful eras in Fulham history. The club were relegated again after winning only 11 in 42 matches in the 1979–80 season, which eventually resulted in Bobby Campbell's sacking in October 1980, to be replaced by Malcolm Macdonald. With a strong squad during his 1980–1984 period in charge (with players such as Ray Houghton, Tony Gale, Paul Parker, Gerry Peyton and Ray Lewington), they won promotion again in 1981–82 back to the Second Division, although the promotion was overshadowed by the suicide of former defender Dave Clement a few weeks before promotion was sealed. In 1980, Fulham founded the rugby league club that is now London Broncos designed to be an extra stream of income for the football club, but which made financial losses every year while linked to Fulham F.C. Then called "Fulham Rugby League," they played at Craven Cottage until moving away from the parent club in 1984. In 1978, Fulham had signed Gordon "Ivor" Davies who, during two spells at Fulham, became the club's leading goalscorer of all time with a total of 178 goals in all competitions; the record still stands. Fulham narrowly missed out on back-to-back promotions to the First Division, losing 1–0 to Derby County away on the last day of the 1982–83 season – although the match was abandoned after 88 minutes due to a pitch invasion and inexplicably never replayed or finished. The side which had shown so much promise was quickly sold off as the club were in debt, so it was little surprise when the club were relegated again to the Third Division in 1986. The club nearly went out of business in 1987 via an ill-advised merger attempt with Queens Park Rangers. It was only the intervention of ex-player Jimmy Hill that allowed the club to stay in business as a re-structured Fulham FC 1987 Ltd. In 1987, the club took part in what was then the longest penalty deciders ever recorded – it needed 28 spot kicks to sort out a winner between them and Aldershot following a Freight Rover Trophy match. In 1992, the foundation of the Premier League, and the resignation of 22 clubs from The Football League, restored Fulham to that league's Second Division. However, the club were relegated to the new Third Division after a poor 1993–94 season, following which Ian Branfoot was appointed as team manager. After an eighth-place finish in Branfoot's first season in charge, the club hit its lowest-ever final league position in the 1995–96 season, finishing 17th out of 24. Branfoot was sacked as manager, but remained at the club in other capacities for a short while. In February 1996, Micky Adams became player-manager. Adams oversaw an upturn in form that lifted the side out of relegation danger. The next season, he engineered a second-place league finish, missing out on first place because several years previously the league had dropped the old "goal difference" system in favour of a "goals scored" tally, meaning Fulham finished behind Wigan Athletic. The club's chairman Jimmy Hill had argued that goals scored should decide places of teams tied on points, and the Football League clubs had voted the system in. Egyptian businessman Mohamed Al-Fayed bought the club for £6.25 million in summer 1997. The club was purchased via Bill Muddyman's Muddyman Group. Micky Adams was replaced by Al-Fayed in the aftermath of a mid-table start to the season. He installed a two-tier management "dream team" of Ray Wilkins as First Team Manager and Kevin Keegan as chief operating officer, pledging that the club would reach the Premier League within five years. After an argument over team selection, Wilkins left the club in May 1998 to hand over the full managerial duties to Keegan, who helped steer the club to promotion the next season, winning 101 points out of a possible 138, after spending £1.1 million to sign Paul Peschisolido from West Bromwich Albion, who was top scorer and captained by Chris Coleman – then the most expensive footballer outside the top two divisions of the English league. In 1999, Keegan left Fulham to become manager of England, and Paul Bracewell was put in charge. Bracewell was sacked in March 2000, as Fulham's promising early season form dwindled away to a mid-table finish. Frenchman Jean Tigana was put in charge and, having signed a number of young stars (including French striker Louis Saha), he guided Fulham to their third promotion in five seasons in the 2000–01 season, giving Fulham top-flight status for the first time since 1968. Fulham once again amassed 101 points out of a possible 138 in their scintillating title run, which was crowned with an open-top bus parade down Fulham Palace Road. They are the only team to have twice reached 100 points in a season. During the season, Chris Coleman was involved in a car crash that put him out of action for well over a year and eventually ended his playing career after he failed to make a sufficient recovery. Fulham's run through the divisions saw a large turnover of players, with the only player to play for the club in all four leagues being Sean Davis. Fulham returned to the top division of English football, and competed in the Premier League for the first time. The club finished the 2001–02 season in 13th place. Fulham were the only team to host top-flight football with some standing areas in the 21st century, but due to restrictions on standing, this was not allowed to continue; clubs promoted from the second division had only three years to make their ground all-seater. Fulham were forced to groundshare with QPR at Loftus Road during the 2002–03 and 2003–04 seasons while Craven Cottage was rebuilt as an all-seated stadium. There were fears that Fulham would not return to the Cottage, after it was revealed that Al-Fayed had sold the first right to build on the ground to a property development firm. In 2002–03, Fulham spent most of the season in the lower half of the table. Chairman Al-Fayed told manager Jean Tigana that his contract would not be renewed at the end of the season. However, with five games left to play and relegation still possible, Tigana was sacked, and Chris Coleman was temporarily put in charge. Fulham won 10 points from a possible 15 and managed to avoid relegation. Coleman was appointed manager on a permanent basis in the summer of 2003; despite predictions that the inexperience of Coleman would result in Fulham's relegation, he kept the club well clear of relegation, guiding them to a club record ninth-place finish in his debut season. This might have been greater had the club not come under significant financial pressure to sell Louis Saha to Manchester United, for whom they received a club record £13 million. Coleman notched up another satisfactory performance in the 2004–05 season and guided Fulham to a secure 13th-place finish. The following season Fulham improved by one place, finishing 12th – the high point of the season was a 1–0 win over local rivals and reigning champions Chelsea in the West London derby – Chelsea had only lost two games in two and a half years. The 2006–07 season proved to be Coleman's last, as on 10 April 2007, Fulham terminated his contract with immediate effect. His replacement was Northern Ireland manager Lawrie Sanchez. Fulham only gained four points from five games with Sanchez as caretaker manager. They ensured top-flight survival that season by defeating a weakened Liverpool side 1–0 in the penultimate match of the season, and Sanchez was appointed manager. Fulham playing in their light blue away kit against Bolton Wanderers in the 2004–05 FA Cup. Robin van Persie takes a free kick as Fulham players form a defensive wall. Sanchez received strong financial backing from the board and made a number of signings during the summer break, but, after just two league wins in the first five months of the season and with Fulham in the relegation zone, he was dismissed on 21 December 2007 after a defeat to Newcastle United. Roy Hodgson was named as the new manager of Fulham on 28 December 2007 and took up his contractual duties on 30 December, just two days before the January transfer window opened. Hodgson's tenure did not start well and it took a month to secure his first win, against Aston Villa, courtesy of a Jimmy Bullard free-kick. Fulham continued to struggle and a 3–1 home defeat in April at the hands of fellow strugglers Sunderland left Hodgson on the verge of tears in the post-match press conference and many pundits writing off Fulham's survival chances. Despite the negative press, Hodgson continued to believe survival was attainable. The turning point of the season came in the third-to-last match, against Manchester City. Fulham trailed 2–0 at half-time and had the Premier League scores at that time become results, they would have been relegated. However, the introduction of Diomansy Kamara heralded the start of a fantastic comeback—Kamara struck twice as Fulham registered an amazing 3–2 victory. Fulham then won a crucial match against fellow strugglers Birmingham City at Craven Cottage, leaving survival in the club's own hands. Barring a goal-rush from fellow strugglers Reading, a win against a Portsmouth side looking ahead to their fourth FA Cup final would guarantee survival. With 15 minutes to play at Portsmouth, Fulham were drawing, and with Birmingham City and Reading leading comfortably against Blackburn Rovers and Derby County respectively, they looked likely to be relegated. However, Fulham earned a free-kick with 76 minutes played; Jimmy Bullard's delivery found Danny Murphy, who headed home the decisive goal, sparking manic celebrations from the travelling fans. Hodgson had ensured survival against all odds, breaking several club records in the process and cementing his place in Fulham folklore. Fulham narrowly missed out on a UEFA Cup place via Fairplay by a dubious 0.8 of a point behind Manchester City, who lost 8–1 at Middlesbrough. 2009–10 was arguably the most successful season in the club's history. They were eliminated from the FA Cup in the quarter-finals for the second year running, and finished 12th in the Premier League, despite fielding weakened teams in the last few matches. In the inaugural Europa League season, however, Fulham reached the final, meeting Spanish club Atlético Madrid, who had dropped down from the Champions League, at the Volksparkstadion in Hamburg. In their first European cup final, the Cottagers were beaten 2–1 after extra time, having drawn 1–1 after full-time. The achievement of taking Fulham so unexpectedly far, beating famous teams like Hamburger SV, Juventus, holders Shakhtar Donetsk and Basel in the competition, led to Roy Hodgson being voted the LMA Manager of the Year by the widest margin in the history of the award. The home match in the round of 16 was arguably Fulham's greatest result in the history of the club. Despite losing 3–1 in the first leg at Italian giants Juventus and falling behind minutes into the second leg at Craven Cottage, Fulham scored four goals with no reply from Juventus. On 29 July 2010, Mark Hughes was named the successor to Hodgson, signing a two-year contract with the club. Hughes had previously managed Manchester City, the Welsh national team and Blackburn. Hughes' first match in charge was against Bolton Wanderers at the Reebok Stadium. The highlight of the season was a 4–0 win in the FA Cup over London rivals Tottenham Hotspur, all goals coming in the first half. Hughes resigned as manager of Fulham on 2 June 2011, having spent fewer than 11 months at the club. The Whites had an encouraging finish in eighth position and qualified for the Europa League via Fairplay. On 7 June 2011, Martin Jol signed a two-year contract with Fulham, becoming successor to Hughes. Jol's first match was a 3–0 Europa League win against NSÍ Runavík of the Faroe Islands on 30 June. Fulham then navigated their way with some ease to the group stage in the Europa League through late summer. However, the Cottagers were knocked out with the last seconds of the group stage matches, Odense BK equalising to make a draw, leaving Fulham in third place, with Polish side Wisła Kraków instead progressing to the next round. Fulham's Premier League form in the 2011–12 season was mixed, with the continuing away-record hangover of previous seasons dragging on. In October 2011, Fulham had an emphatic 6–0 home win over neighbours QPR, with Andrew Johnson scoring a hat-trick for Fulham in the match. The January 2012 transfer window saw Bobby Zamora move over the Hammersmith flyover to Loftus Road, with Russian striker Pavel Pogrebnyak coming in place from VfB Stuttgart. Clint Dempsey scored a club record 50 Premier League goals for Fulham between 2007 and 2012. The New Year saw two further hat-tricks scored by Clint Dempsey. On 11 February 2012, Progrebnyak scored on his debut in the 2–1 win over Stoke City. In March 2012, a 5–0 win against Wolverhampton Wanderers saw a hat-trick from Pogrebnyak. The Cottagers broke their historic drought on Merseyside with a 1–0 win over Liverpool at Anfield on May Day and another win against Sunderland in the last home game meant Fulham were only one point short of equalling their largest points haul in the Premier League, with just one game remaining. However, they failed to achieve this after losing their last game away at Tottenham. Shahid Khan took over as chairman in July 2013, but after a poor start to the 2013–14 season, having only amassed 10 points from 13 games, Martin Jol was sacked as manager on 1 December 2013, with René Meulensteen taking charge as head coach. On the "deadline day" of the January transfer window, Fulham reportedly broke their transfer record to purchase Greek international Kostantinos Mitroglou for £12.5 million from Olympiacos. Meulensteen was replaced by Felix Magath after just 17 games in charge, but fortunes did not improve, and Fulham were eventually relegated to the Championship after a 4–1 defeat away to Stoke on 3 May. Post-season, the media criticised chairman Shahid Khan's decision to sack Meulensteen and appoint the third manager of the season in Magath, with Sky Sports' Jamie Redknapp going as far to say "what did Fulham expect?" The Daily Telegraph stated that the club was "no longer well run" as it had been under Al Fayed. Magath retained his job as manager despite being linked with a move to Southampton. Fulham broke the Championship transfer record that summer in a restructuring of the squad by Magath, purchasing, amongst others, Ross McCormack for a reported £11 million. However, after an alarming start to the new season, amassing just one point in seven games, Magath was sacked in September 2014, with Kit Symons appointed as caretaker manager. Former captains Brede Hangeland and Danny Murphy slated Magath, claiming that Magath ignored doctors and instructed Hangeland to place a block of cheese on his thigh to make him fit for the next match. Murphy suggested that this was "ridiculous," before Magath later admitted that he did suggest cheese as a remedy. Fulham eventually finished the season in 17th place. Fulham made their second squad overhaul in as many years, adding 12 new players to the first-team squad, but were forced to sell several key players, such as Bryan Ruiz, Hugo Rodallega and Patrick Roberts. Fulham suffered an inconsistent start to the season, with results such as a 4–0 against local rivals QPR countered by results like a 3–0 home loss to Wolves. After a 5–2 loss at home to Birmingham City, and lying in 12th place, Kit Symons was sacked as Fulham manager in November 2015. It took 49 days to find a replacement, the club using Peter Grant and Stuart Gray in the interim, before appointing the Serbian Slaviša Jokanović on 27 December 2015. Fulham's fortunes did not improve greatly following Jokanović's appointment, with no league wins until their 3–1 victory over QPR on 13 February 2016. This poor run of form brought Fulham down to 18th position in the Championship. Aside from a further victory against Charlton Athletic on 20 February 2016, the club again went winless until their 2–1 victory over relegation strugglers MK Dons, on 2 April 2016. Fulham finished the 2015–16 Championship season in 20th place, avoiding relegation by 11 points. After yet another squad overhaul, the 2016–17 season saw huge improvements in both results and performances. After a good start, which included a 1–0 win over newly-relegated Newcastle, Fulham found themselves in 2nd place at the end of August. A poor September followed, but a significant improvement from October onwards, which included the 5–0 thrashings of high-flying Huddersfield Town and Reading, got Fulham back into play-off contention. Fulham secured a 6th place finish after an impressive finish to the season, which saw Fulham collect 37 points out of their last 17 games, and entered the play-offs, where they were undone by a controversial Yann Kermorgant penalty, which saw Reading triumph 2–1 on aggregate. After a poor first half of the 2017–18 season, which included a 1–0 loss away to bottom placed Sunderland on 16 December 2017, Fulham struggled to break the top half of the table. Following that loss at Sunderland, Fulham went on a club-record 23 game unbeaten run in the league, which included a 6–0 romping of Burton Albion and wins against fellow promotion rivals Wolverhampton Wanderers, Aston Villa and Cardiff City. The run ended on the final day of the season, as Fulham fell to a 3–1 defeat against Birmingham City. Had Fulham won, they would have finished the season in second place, as Cardiff failed to beat Reading. Instead they would have to face the play-offs for a second season running. After overcoming a 1–0 away defeat to Derby County in the semi-finals, Fulham won the EFL Championship play-off Final against Aston Villa to return to the Premier League on 26 May 2018, after securing their first win at Wembley in their 139 year history. Following a poor start to the following season, Jokanović was sacked on 14 November 2018 and replaced with Premier League-winning manager Claudio Ranieri, after a start of five points in 12 games and conceding 31 goals in that period. Results ultimately did not improve under Ranieri and following a 2–0 loss to fellow relegation rivals Southampton, Ranieri too was sacked in February 2019 – after just 4 months in charge. He was replaced by under 18s coach Scott Parker as caretaker manager. Fulham were relegated from the Premier League on 2 April 2019 following a 4–1 defeat at Watford, their ninth defeat in a row and 33rd match of the season. 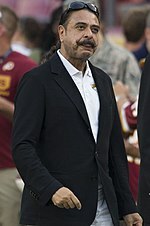 Fulham Football Club is owned by Shahid Khan. Khan completed his purchase of the club from Mohamed Al-Fayed on 12 July 2013 for a reported £150–200 million. During his ownership of Fulham, Al-Fayed had provided Fulham F.C. with £187 million in interest-free loans. In March 2011 Fulham posted annual losses of £16.9 million, with Al-Fayed stating that he would "continue to make funds available to achieve our goals both on and off the pitch" and that "the continued success of Fulham and its eventual financial self-sustainability is my priority." As of January 2013 Fulham were effectively debt-free as Al-Fayed converted the loans into equity in the club. Fulham's sponsorship by Betfair in 2002–03 was the first gambling sponsorship in English football, and came before the Gambling Act 2005 permitted the industry to advertise on television and radio; within fifteen years half of Premier League teams were sponsored by such companies. Fulham are a member of the European Club Association, having qualified three times for European Competition, firstly the UEFA Intertoto Cup after their inaugural season in the Premier League, and then the UEFA Europa League twice. Fulham are unbeaten at home in European competition, in 23 games, with a record of 17 wins and six draws. In 2010, Fulham reached the UEFA Europa League final, which they lost 2–1 to Atletico Madrid. Fulham consider their secondary rivals to be Queens Park Rangers. Fulham last played QPR in the 2000–01 season before meeting them again twice in the 2011–12 Premier League season in which Fulham were the victors with a 6–0 victory at Craven Cottage, and beating them 1–0 away from home at Loftus Road. Fulham also have rivalries with other London clubs, including Brentford and Crystal Palace. Outside of London, Gillingham are still considered rivals to Fulham supporters despite the two clubs having played in different divisions for the past 11 years. Fulham and Gillingham have been involved in several ill-tempered matches in the lower leagues, including the death of a Fulham supporter. Fulham's fan base has fluctuated over the years, with high crowds coinciding with the club's success in the Premier League so that the club now averages in the top 20 home attendances in the country. Fulham supporters have played a vital role in the club's long term stay at Craven Cottage. When the club moved temporarily to Loftus Road, a committee known as Back to the Cottage was formed, committed to ensuring the club continued to play at their traditional home. Fulham fans have traditionally come from the Fulham and Hammersmith areas, and also from other areas in South-West London, such as Putney, Richmond, Sutton and Worcester Park. In July 2012, the club website asked supporters using Facebook and Twitter to pick their best FFC Premier League XI from 2001 to the present. The supporters picked their favourite goalkeeper, full-backs, centre-backs, wingers, centre midfielders and forwards in a classic 4–4–2 formation. Fulham have had 37 managers in 114 years. Prior to the appointment of the first manager at the club (Bradshaw in 1904), the duties normally assigned to a modern-day manager would have been shared between club secretary, captain, and other officials. Several managers have failed to last more than a year at the club: Bobby Robson, Alan Dicks, Ray Wilkins, Paul Bracewell, Lawrie Sanchez, Mark Hughes, René Meulensteen, Felix Magath, and Claudio Ranieri. Further to this, Frank Osborne only had a year after his initial arrival at the club during which he was principally in charge of the team (before Dodgin, senior) arrived, although he later took sole charge of the club for an extended period. Chris Coleman: after Tigana resigned four months before planned in 2003, Chris Coleman was appointed as caretaker manager, much to the delight of the fans. Having initially denied he wanted the post, Coleman accepted the role of full-time manager that summer. Scott Parker: took over as caretaker after Claudio Ranieri left the club on 28 February 2019 having just won 3 of his 17 league games in charge. Between the years 1879 and when Fulham had a ground to call their own in 1896, they played at a number of stadiums, only some of which were recorded and this should not be regarded as a full or complete list. Only rivals and former landlords Queens Park Rangers have played at more home stadiums. Some of the early grounds listed below are likely to have been parks and parkland, which have now been developed. Even when the club purchased Craven Cottage and the surrounding land in 1894, they had to wait two years before they could play a game there. The Fulham mascot is Billy the Badger, who was the winning design sent in by Kyle Jackson after an online competition by the club. Billy the Badger wears the number 79 Fulham shirt, in reference to the club's year of founding, 1879. Controversy first surrounded Billy when he tried to cheer up Chelsea manager Avram Grant during a home match in front of the television cameras. Secondly, Billy was seen on television being sent off during the home game against Aston Villa on 3 February 2008 for break-dancing in the corner of the pitch after the referee had commenced the game. Billy blamed his badger hearing and eyesight for the incident, and apologised to referee Chris Foy. On 11 March 2009, Billy walked across the goal during a match although it was not spotted by the referee. The former mascot for Fulham was Sir Craven of Cottage, the Knight. The cheerleaders were known as the Cravenettes. ^ "History". Fulham F.C. Archived from the original on 7 October 2015. Retrieved 13 October 2015. ^ a b "Welcome To Shahid Khan". Fulham F.C. 12 July 2013. Archived from the original on 14 July 2013. Retrieved 12 July 2013. ^ 1879 according to the club history Archived 13 November 2013 at the Wayback Machine on the official website and 1886/7 "Archived copy". Archived from the original on 18 October 2009. Retrieved 27 July 2009. CS1 maint: Archived copy as title (link) according to 'How a church's cricket and football club became Fulham Football Club' – Morgan Phillips 2007. ^ "2009/10: Atlético crown historic campaign –". UEFA.com. 17 June 2010. Archived from the original on 1 January 2012. Retrieved 17 February 2012. ^ Historical Football Kits – Fulham Archived 25 June 2007 at the Wayback Machine Taken from Fulham FC – The Official 125 Year Illustrated History (Dennis Turner, 2004). This is the first kit known, and sock colours are not specified. ^ Historical Football Kits – Fulham Archived 25 June 2007 at the Wayback Machine Taken from Fulham FC – The Official 125 Year Illustrated History (Dennis Turner, 2004). ^ Historical Football Kits – Fulham Archived 25 June 2007 at the Wayback Machine Taken from Fulham FC – The Official 125 Year Illustrated History (Dennis Turner, 2004) amongst other sources. ^ Ged Martin (16 November 2010). "Fulham hot dog 1926". Archived from the original on 20 February 2017. Retrieved 25 November 2016 – via YouTube. ^ Ged Martin (16 November 2010). "Craven Cottage.1929". Archived from the original on 18 February 2017. Retrieved 25 November 2016 – via YouTube. ^ Ged Martin (16 November 2010). "Fulham v Austria 1934" – via YouTube. ^ Ged Martin (16 November 2010). "Craven Cottage.1940". Archived from the original on 15 February 2016. Retrieved 25 November 2016 – via YouTube. ^ "Celtic Programmes Online – Tours of the USA and Canada". Archived from the original on 5 September 2007. Retrieved 19 June 2007. ^ Ged Martin (17 November 2010). "Fulham V Liverpool 1966". Archived from the original on 18 February 2017. Retrieved 25 November 2016 – via YouTube. ^ According to his profile Archived 13 November 2013 at the Wayback Machine at the FA. ^ "Fulham 1994–1995 English Division Three Table". Statto. Archived from the original on 13 November 2013. Retrieved 12 November 2013. ^ a b Bose, Mihir (7 February 2003). "Fulham pushed out Hill". The Daily Telegraph. London. Archived from the original on 31 August 2018. Retrieved 5 April 2018. ^ BBC News (15 September 2003). "Fulham's future hangs in balance". Archived from the original on 12 January 2016. Retrieved 24 July 2011. ^ Two of three writers of The Independent newspaper predict Archive index at the Wayback Machine relegation for Fulham in the 2003–04 season. ^ BBC News (12 November 2004). "Fulham lose Tigana court battle". Archived from the original on 12 January 2016. Retrieved 24 July 2011. ^ "Manager Sanchez sacked by Fulham". BBC Sport. 21 December 2007. Archived from the original on 22 December 2007. Retrieved 12 November 2013. ^ "Fulham appoint Hodgson as manager". BBC News. 28 December 2007. Archived from the original on 31 December 2007. Retrieved 3 May 2010. ^ LTD, Digital Sports Group. "Crying shame for Hodgson as Fulham look doomed". Archived from the original on 2 December 2013. Retrieved 12 November 2013. ^ "Arsenal 4–0 Fulham". BBC News. 9 May 2010. Archived from the original on 12 January 2016. Retrieved 9 May 2010. ^ "Fulham's Roy Hodgson voted Manager of the Year by fellow bosses – ESPN Soccernet". Soccernet.espn.go.com. 10 May 2010. Archived from the original on 31 December 2013. Retrieved 12 November 2013. ^ "Roy Hodgson leaves Fulham to become Liverpool manager". BBC Sport. 1 July 2010. Archived from the original on 12 January 2016. Retrieved 1 July 2010. ^ "Hughes confirmed as Fulham boss". BBC News. 29 July 2010. Archived from the original on 12 January 2016. Retrieved 29 July 2010. ^ "Fulham 3–0 Nes Soknar Itrottarfelag". BBC Sport. 12 November 2013. Archived from the original on 27 January 2016. Retrieved 14 February 2018. ^ "Fulham 6–0 QPR". BBC Sport. 2 October 2011. Archived from the original on 17 October 2013. Retrieved 13 November 2013. ^ "Fulham 2–1 Stoke". BBC Sport. 11 February 2012. Archived from the original on 6 December 2013. Retrieved 13 November 2013. ^ "Fulham 5–0 Wolves". BBC Sport. 4 March 2012. Archived from the original on 3 March 2014. Retrieved 13 November 2013. ^ Kempson, Russell (19 May 2013). "Alexander Kacaniklic sets Fulham on victory road against Swansea City". The Guardian. London. Archived from the original on 13 November 2013. Retrieved 13 November 2013. ^ "Fulham: Mohamed Al Fayed sells club to Shahid Khan". BBC Sport. 12 July 2013. Archived from the original on 1 October 2014. Retrieved 2 July 2014. ^ a b "How do Premier League clubs fare after sacking their Manager?". Proven Quality. 18 February 2014. Archived from the original on 14 February 2014. Retrieved 19 February 2014. ^ "Fulham hire Felix Magath after sacking Rene Meulensteen". BBC Sport. 14 February 2014. Archived from the original on 15 February 2014. Retrieved 14 February 2014. ^ "Transfer news: Fulham agree fee for Olympiakos striker Kostas Mitroglou". Sky Sports. 31 January 2014. Archived from the original on 23 November 2015. Retrieved 21 September 2015. ^ "Rene Meulensteen, Ray Wilkins and Alan Curbishley exit Fulham". BBC Sport. 18 February 2014. Archived from the original on 24 September 2015. Retrieved 14 February 2018. ^ Chowdhury, Saj (3 May 2014). "Stoke City 4–1 Fulham". BBC Sport. Archived from the original on 3 May 2014. Retrieved 4 May 2014. ^ Jamie Redknapp; Opta (15 May 2014). "Fulham Season Review". Sky Sports. Archived from the original on 19 July 2014. Retrieved 2 July 2014. ^ Law, Matt (12 May 2014). "Fulham Premier League season review for 2013–14". The Daily Telegraph. London. Archived from the original on 22 May 2014. Retrieved 2 July 2014. ^ "Southampton target Felix Magath as manager but Fulham block their request for talks". Daily Mirror. Archived from the original on 28 November 2015. Retrieved 28 August 2015. ^ Bailey, George (8 July 2014). "Transfer news: Fulham agree £11m Ross McCormack deal with Leeds". Sky Sports. Archived from the original on 24 September 2015. Retrieved 28 August 2015. ^ "Felix Magath departs Fulham with Kit Symons taking charge on temporary basis". Sky Sports. 19 September 2014. Archived from the original on 6 October 2014. Retrieved 5 October 2014. ^ Taylor, Daniel (20 September 2014). "Fulham say farewell to Magath and the crazy world of Felix the madcap". The Observer. The Guardian Online. Archived from the original on 6 October 2014. Retrieved 5 October 2014. ^ Gallagher, Sean (21 September 2014). "Danny Murphy tells bizarre story of former Fulham boss Felix Magath's cheese remedy for Brede Hangeland". Mail Online. London. Archived from the original on 6 October 2014. Retrieved 5 October 2014. ^ "Felix Magath: 'I did tell Hangeland to use cheese to treat injury'". BBC Sport. 23 September 2014. Archived from the original on 25 September 2014. Retrieved 5 October 2014. ^ "Transfer Round Up". Fulham F.C. 1 September 2015. Archived from the original on 1 October 2015. Retrieved 30 September 2015. ^ "Ruiz Departs". Fulham F.C. 7 July 2015. Archived from the original on 10 July 2015. Retrieved 19 July 2015. ^ "Player Departures". Fulham F.C. 12 June 2015. Archived from the original on 14 June 2015. Retrieved 19 July 2015. ^ "Roberts Joins City". Fulham F.C. 19 July 2015. Archived from the original on 21 July 2015. Retrieved 19 July 2015. ^ "Match Report – Fulham 4 – 0 QPR | 25 September 2015". Sky Sports. Archived from the original on 29 October 2015. Retrieved 8 November 2015. ^ "Match Report – Fulham 0 – 3 Wolves | 29 September 2015". Sky Sports. Archived from the original on 2 November 2015. Retrieved 8 November 2015. ^ "Match Report – Fulham 2 – 5 Birm'ham | 7 November 2015". Sky Sports. Archived from the original on 7 November 2015. Retrieved 8 November 2015. ^ "Fulham results & fixtures for the 2015–2016 season". Archived from the original on 12 February 2016. Retrieved 8 February 2016. ^ "Fulham sack manager Kit Symons". Sky Sports. Archived from the original on 23 November 2015. Retrieved 8 November 2015. ^ "Jokanović Appointed | Fulham Football Club". Archived from the original on 27 December 2015. Retrieved 27 December 2015. ^ "Fulham Ends Drought with Win Over QPR". BBC Sport. Archived from the original on 18 March 2016. Retrieved 7 May 2016. ^ "Fulham 2015/16 Results". BBC Sport. Archived from the original on 25 March 2016. Retrieved 7 May 2016. ^ "Fulham v MK Dons Match Report – 2 April 2016". BBC Sport. Archived from the original on 23 April 2016. Retrieved 7 May 2016. ^ "Fulham 1–0 Newcastle". BBC Sport. 5 August 2016. Archived from the original on 13 June 2018. Retrieved 30 May 2018. ^ "Fulham 5–0 Huddersfield Town". BBC Sport. 29 October 2016. Archived from the original on 16 June 2018. Retrieved 30 May 2018. ^ "Fulham 5–0 Reading". BBC Sport. 3 December 2016. Archived from the original on 15 June 2018. Retrieved 30 May 2018. ^ "Reading 1–0 Fulham (agg: 2–1)". BBC Sport. Archived from the original on 12 May 2018. Retrieved 30 May 2018. ^ "Sunderland 1–0 Fulham". BBC Sport. 16 December 2017. Archived from the original on 18 June 2018. Retrieved 29 May 2018. ^ "Fulham 6–0 Burton Albion". BBC Sport. 2018. Archived from the original on 18 June 2018. Retrieved 29 May 2018. ^ "Fulham 2–0 Wolves". BBC Sport. 24 February 2018. Archived from the original on 17 June 2018. Retrieved 29 May 2018. ^ "Fulham 2–0 Aston Villa". BBC Sport. 17 February 2018. Archived from the original on 16 June 2018. Retrieved 29 May 2018. ^ "Cardiff City 2-4 Fulham". BBC Sport. 26 December 2017. Archived from the original on 27 May 2018. Retrieved 29 May 2018. ^ "Birmingham City 3–1 Fulham". BBC Sport. 6 May 2018. Archived from the original on 16 May 2018. Retrieved 29 May 2018. ^ "Derby County 1–0 Fulham". BBC Sport. 11 May 2018. Archived from the original on 16 May 2018. Retrieved 29 May 2018. ^ "Fulham 2–0 Derby County (Agg 2–1)". BBC Sport. 14 May 2018. Archived from the original on 17 May 2018. Retrieved 29 May 2018. ^ "Aston Villa 0–1 Fulham". BBC Sport. 26 May 2018. Archived from the original on 29 May 2018. Retrieved 4 June 2018. ^ "Ranieri Named Manager". Fulham F.C. 14 November 2018. Retrieved 14 November 2018. ^ Whaling, James; McLeman, Neil (28 February 2019). "Claudio Ranieri SACKED by Fulham: Scott Parker steps in for Premier League survival fight". ^ "Scott Parker: Fulham boss 'devastated' after Premier League relegation". BBC Sport. 3 April 2019. Retrieved 3 April 2019. ^ "Shahid Khan – Fulham Football Club". www.fulhamfc.com. Archived from the original on 12 February 2014. Retrieved 11 February 2014. ^ a b c "Directors – Fulham Football Club". www.fulhamfc.com. Archived from the original on 9 February 2014. Retrieved 11 February 2014. ^ "Fulham: Mohamed Al Fayed sells club to Shahid Khan". BBC Sport. 12 July 2013. Archived from the original on 13 July 2013. Retrieved 12 July 2013. ^ Conn, David (19 May 2010). "Record income but record losses for Premier League". The Guardian. UK. Archived from the original on 1 December 2016. Retrieved 11 December 2016. ^ "Fulham football club losses up despite on-field success". BBC News. 15 March 2011. Archived from the original on 12 January 2016. Retrieved 20 July 2018. ^ "Fulham effectively debt-free as Fayed converts loans into equity". Guardian.co.uk. 29 January 2013. Archived from the original on 13 November 2013. Retrieved 22 November 2013. ^ Longley, Scott (14 March 2018). "A short history of betting shirt sponsorship in football (part 1)". SBC News. Archived from the original on 22 September 2018. Retrieved 22 September 2018. ^ Reuben, Anthony (22 September 2018). "Premier League shirts row: The fickle fashions of sponsorship". BBC News. Archived from the original on 22 September 2018. Retrieved 22 September 2018. 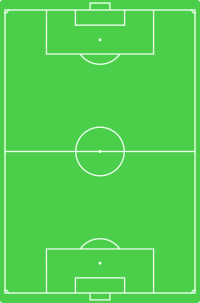 ^ "First team – Player profiles". Fulham F.C. Archived from the original on 8 September 2018. Retrieved 9 September 2018. ^ "Captain's message". Fulham F.C. 21 June 2018. Archived from the original on 29 July 2018. Retrieved 29 July 2018. ^ "Loan deal for Fonte". Fulham F.C. 31 August 2018. Archived from the original on 9 September 2018. Retrieved 9 September 2018. ^ "BBC News | UK | Football fan jailed for killing rival supporter". news.bbc.co.uk. Retrieved 2 March 2018. ^ "News". Fulham Supporters Trust. Archived from the original on 16 March 2009. Retrieved 17 February 2012. ^ "FFC Premier League XI". Fulham FC. 3 July 2012. Archived from the original on 6 July 2012. Retrieved 12 November 2013. ^ "Fulham's Best XI". Fulham FC. Archived from the original on 13 November 2013. Retrieved 12 November 2013. ^ "Fulham Football Club on Twitter: "Peter Grant, who will be taking the First Team for the MK Dons game, discusses training & looks ahead to the match"". Twitter. Retrieved 20 November 2015. ^ "Honours". Fulham F.C. Archived from the original on 9 January 2018. Retrieved 9 January 2018. ^ "A to Z Reference Guides". Fulham F.C. 24 July 2013. Archived from the original on 19 August 2013. Retrieved 24 July 2013.